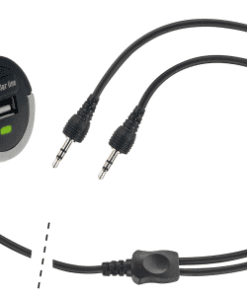 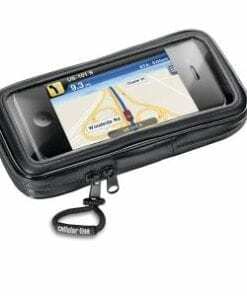 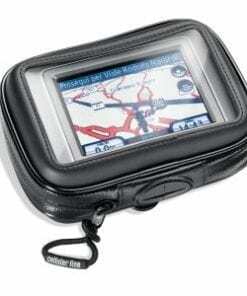 Water resistant GPS holder for motorcycles and bicycles universal holder for devices up to 4.3″. 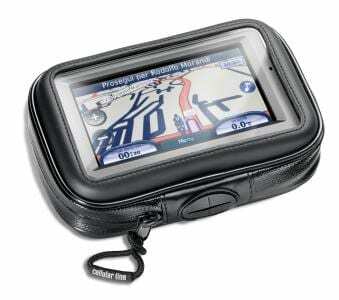 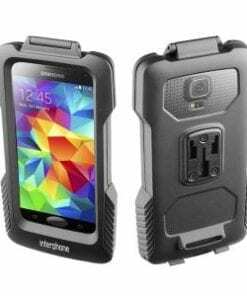 Your GPS is carried in an extremely sturdy, practical case whose interior is lined with knock-proof material. 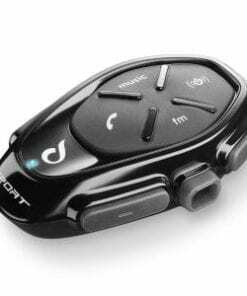 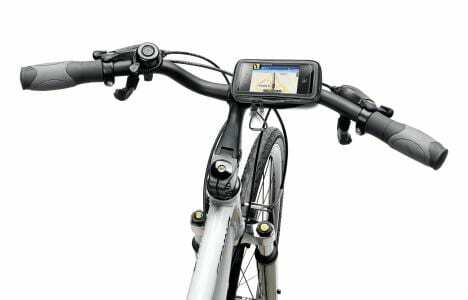 The holder can be fixed to the handlebar simply and quickly, thanks to a practical, adjustable bracket. 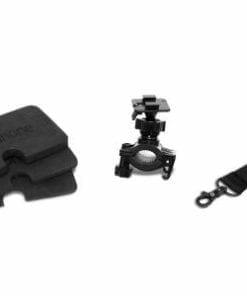 Since the base can be rotated 360°, you can position the screen at the visual angle that is just right for you. 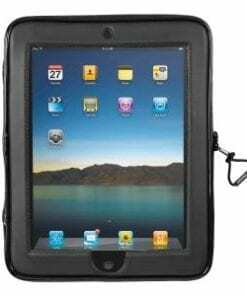 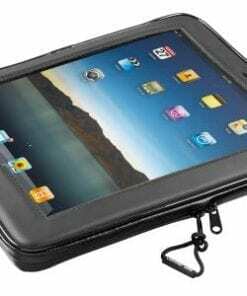 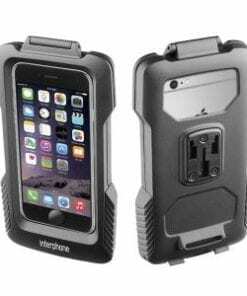 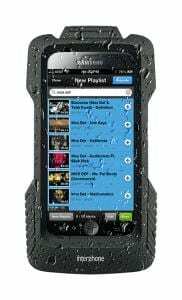 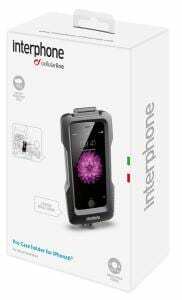 The water resistant case and zips enable the case to be used in any weather, and your touch screen display is completely functional through the special crystal film window.